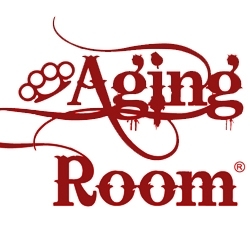 This spring a second installment of the Aging Room Bin is coming – and this one is appropriately titled the Aging Room Bin No. 2. Details of the announcement were first reported by Cigar Aficionado. Aging Room Bin No. 2 is a project that comes from the Plasencia Cigars factory in Estelí, Nicaragua. It’s a 100% Nicaraguan puro, and the cigar is highlighted by the use of Ometepe tobacco for the binder and filler. Made at Plasencia Cigars S.A. in Nicaragua, the cigars contain only Nicaraguan leaf. The binder, however, is from Ometepe, as is most of the filler. The rest of the tobacco is from Estelí and Jalapa. According to Rafael Nodal, owner of Boutique Blends who makes Aging Room Cigars, the Ometepe tobacco was used as the basis of the blend. The Aging Room Bin No. 2 is being released in three sizes: C Major (5 3/4 x 54), B Minor (5 x 52), and Grande (6 x 60). Each size is presented in 20-count boxes. Cigar Aficionado reported the pricing in the range from $11.50 to $12.50 each. Aging Room Bin No. 2 is the first new blend in the Aging Room Bin line in nearly five years. It was in 2014 when the Aging Room Bin. No. 1 was released. This was a cigar that was produced in Tabacalera Palma in the Dominican Republic. The “Bin” line was inspired by an area of Tabacalera Palma that contained aged tobaccos that would go into the Bin No. 1 line. The Aging Room Bin No. 2 is the Aging Room second cigar to come out of Plasencia. Last year, the Aging Room Pura Cepa was released.